May you always be happy Rob! Amin. 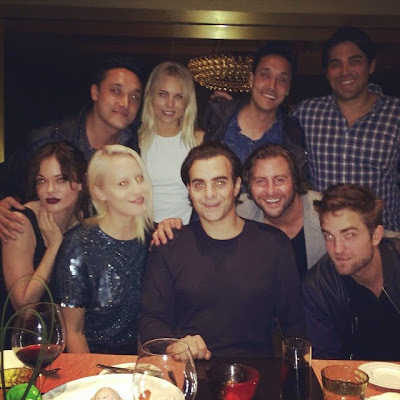 So nice to see Rob in pics happy and smiling, from friends and not the papz. Good to see Rob looking happy. Love these pics because they're not pap pics. Did you notice the ring on Rob's finger, a wedding ring? And I do think I see Kristen in the mirror as the one taking the first pic posted. Nice! Of course I see Kristen in the mirror and Rob's wedding ring. Just like I see Michael Jackson lurking in the dark right corner. And....is that LadyGaga hanging from the ceiling??? Excuse my sarcasm please but I'm so sick and tired of these delusions. I can't even begin to explain how many things are wrong with these. Kristen and Rob are done. Accept it. 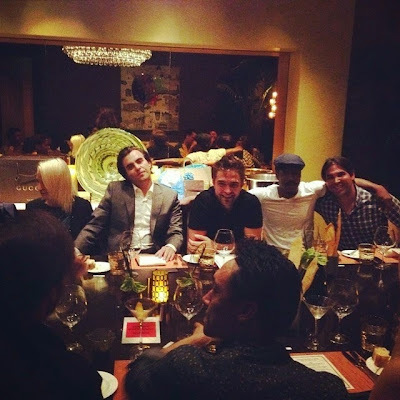 I mean, you choose to see something in a picture that just isn't there, but ignore Rob's very own word of being single. How does that make sense? And please don't start these conspiration/hiding from the paps stuff. That's just ridiculous. 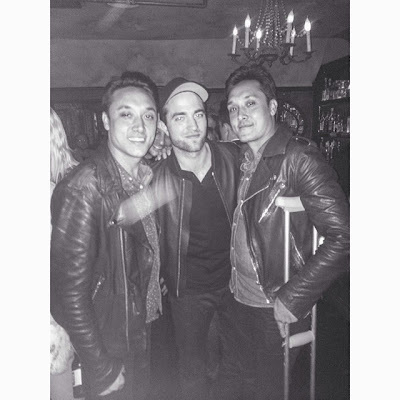 I'm just happy that Rob is happy and obviously has fun with friends. Good for him to go out and enjoy his free time. He'll be working again soon enough. You see part of the rim of a glass against Rob's finger, not a wedding ring, geez......BTW, when did he get married without the whole world knowing and better yet, who did he marry. I agree Peini, all this crazy stuff some people believe.